Located in Kirkwall, Orkney, Highland Park is the most northerly whisky distillery in Scotland. Their single malts are known for their mix of a bold, maritime character and a delicate sherry influence. easy to drink. very soft taste, with a slightly smokey aftertaste. i love it. Ok, not great. A bit peaty for my tastes (still way less than Islay scotches). Smoky. Good taste but i prefer more torb taste. sweetness lingers. smoke comes back slightly. nice medium finish. light smoke and balanced sweetness. medium finish.very pleasant. Very interesting. This whisky has something for everyone. Some peat and floral notes. Dark fruits and citrus and a strange note that reminds me of sake. A fantastic all rounder. Brilliant starter for ten, if you fancy working your way to the Islay malts. Aromatic Peat in sherry oak casks from Spain with surprisingly sweet. Warming but not overpowering. A sweetness, maybe sherry, not harsh. Quite delicious, the peat, smoke and sweetness is very approachable. Zacht, redelijk neutraal, voor een whisky is hij fris te noemen. petrol, oils and smoke on the nose. smoke, wood and round notes of spice. Good Sherry nose. Light smoke wisps with honey. short finish. Honey, green apples, bit of smoke and a tiny bit of rubber. A classic. By far not the best version but good as always. In der Nase Vanille mit einer würzigen Muskatnuss-Note. Dazu etwas Rauch über zarter Nektarinen-Haut. Im Mund machen sich frische Äpfel breit, die von pfeffrigen Gewürzen gespickt scheinen. Auch Karamell und Vanille lassen sich langsam nieder. Am Ende findet sich auch wieder die Nektarine, ehe der Abgang erneut die Apfelschale nach vorn treibt. Diese wirkt letztlich ganz leicht angebrannt, ohne dass dieses Raucharoma aber wirklich bestimmend wäre. Nachdem das verflogen ist, bleiben noch Noten von frischen Kräutern. Riding a fine line between sweet and overly sweet, but the peat smoke and brine gives it a healthy tug to balance it out. One of my daily sippers. Great value. Have drank this for a while and have not been bored. Would recommend for those who can handle mild/moderate peat. Cigar ash/burnt matches. hints of moss and possibly citrus. malt notes quickly followed by peat and char notes. Hidden tones of pineapple from time to time. Lightly smoked aroma with honey and malty notes. Sweet and rich taste. Unsurprisingly finish. good ballance. But fragrance is low. Good value. Fruity, caramel, smoky, brine. Quite complex yet easy to drink. Well balanced and pleasant. Very pleasant nose of caramel, honey, fruits, and slight hint of smoke. Palate surprised me - mellow with almost no bitter after-taste; gave that apple and citrus finish that reminds me of Courvoisier VSOP cognac! Very balanced. I was hoping for more. Though it is nice, it's not challenging, bold - don't know why I was expecting that but it has such a great spicy fruity nose that I was hoping for a more bold character. A good one to try. Vollmundig weich mit Sherry. Extremst dezenter Rauch. Schön mild und rauchig im Abgang. Für den Preis ein echter Geheimtip! Pleasantly approachable peated scotch. This was a good transition for me from fruity sherried whisky to delve into peated varieties. Smooth with a fruity character that rounds out to smoky towards the finish. A smooth sipping whisky. Remains honest with little complexity to it;hence nothing remarkable, but enjoyable all the same. Barley cereals. A honey sweetness with hints of vanilla and peat. Quite an elegant aroma. Smooth cereal & malt body with a gentle smokiness. Quickly develops into a peppery finish. Smokey, slightly salty and peaty. Super smokey up front, with a notable burn. Lightly peated with fruit and honey notes. Guter Whisky: Sehr komplexe und daher interessante Nase. Im Mund sehr einfach und im Abgang deutlich das Fass zu spüren. Toller Whisky zu Normalverbrauch durch greifbare Aromen. Sherry-Noten in der Nase mit hellen frischen Früchten. Floral mit Karamell. Leichte zarte Rauchigkeit (kein Lagerfeuer) vermischt mit angenehmer Süße. Prickeln auf der Zungenspitze. leichte Rauchigkeit,Würzigkeit, danach angenehme Eichen-Noten. Ölige Konsistenz. Heidekraut, danach leichte Bitterkeit der Eichenfässer, kleine Zartbitter-Note. Nicht zu langer Abgang, medium. Schlussendich hat man den Geruch eines kalten Lagerfeuers im Mund. Ausgewogen zwischen zartem Rauch und einer leichten Sherry Note. Zarter medizinischer Rauch und etwas Sherry. Im Hintergrund der zarte Rauch und der Sherry. Eiche und Heidekraut (beides hält sich eher bedeckt). dark chocolate, nuts and caramel. Not very fruits. Chocolate again going towards coffee. A good amount of bitter oak. Still cocoa sticking to the tongue. Quite smoothie. Caramel and smoke. Has an alcohol bite, but not too punishing. A well balanced whisky. A bit of everything. Peat,sherry,oak. a good beginners whisky to learn about the flavours. Intense yet round. Spicy yet not overpowering. Very pleasant. Round with soft character,sweetness with touch of not so strong sherry note and little bit of smoke,nothing to much..
A great whisky with a bit of everything - light smoke, sweetness, a bit of sherry and oak. The perfect introductory bottle for Scotch. On the nose sweet, a little peaty with hints of smoke palate sweet, peaty with lingering taste of smoke at the back really good. ce que je veux d'un highland Park. Not too smoky or peaty. Smooth but has a slight bitter aftertaste. taste: light smoke and orange zest with nutmeg. rich Vanilla with light smoke. very basic but solid. My experience with Scotch and other whiskies is extremely limited but this is the bottle that solidified my love. One of my favorite daily dram, perfectly balanced between vanilla, sweetness and final smoke. Very good quality, related to its price. Smooth and accessible, but not enough smoke for me. Very sherry and also a bit too sweet for me. If you like these things and dislike too much smoke, you'll love it! very lightly smoked... took me a moment to even notice it! Peaty, sherry, not much heat. I see why people like it, but not for me. Vanilla notes, heatherly and floral taste. A very little peaty flavor at the end. One of my favorites for littlebmoney. Very nice Islander, with a healthy dose of peatiness and smoky goodness... everything I love about scotch. Ein sehr guter Einsteigerwhisky von Highland Park. Sollte in keiner Hausbar fehlen. Sweet and peat, great balance and great price. Nice. Lacks the smoky body of the Islays that I'm most familiar with, but the sherry really comes through. Well balanced. I find it interesting how this dram develops its aroma, at first you can smell sweet lemon, honey and a bit of peat, but then it changes into more green, fruity smell, apple? 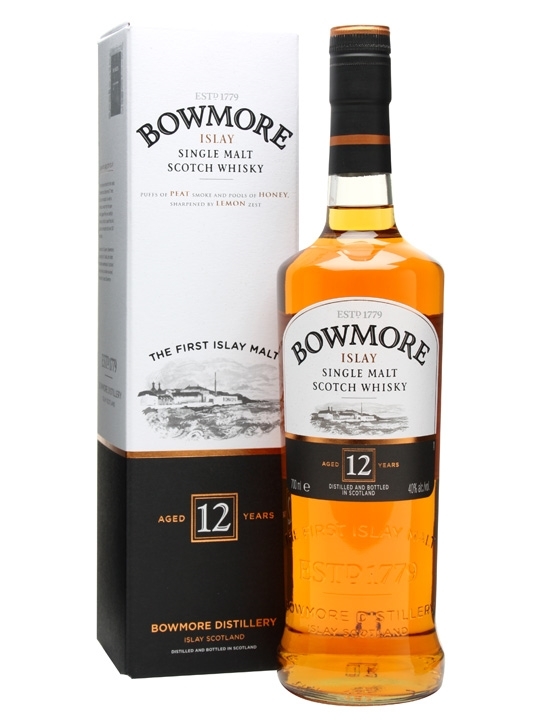 Palate is well-rounded peaty sweet, almost syrup-like sweetness. A little too quick a finish for my taste perhaps. Not the perfect dramformy taste, but still a very good and classy dram. Nose: fruity / vanilla / light smoky. Taste: smoky / a little oily / strong. Aftertaste: smoky long lingering taste. This is a good whisky for peatlovers. And because of the peat, it's not for me. Een heerlijk gebalanceerde whisky. Geur van lichte turfrook en honing caramel. De smaak is licht kruidig, fruitig en zoet. Een lichte afdronk met een mooi evenwicht. Een must voor iedere liefhebber!! im Abgang würziger und eichenlastiger. Maritim nose with seagrass, smoke and some sweetness. Very fine aroma, bit of salt and honey. Long and delicate finish. To me this tastes like a sunny, windy day at the scotish sea. Beetje zemig. Scherpe smaak. Niet super smokey. Nice smoky whisky with malt sweet in the end and layered gentle multiflavour. my choice to keep me going over Christmas. really easy to drink. a good go to whisky. decent everyday dram, torn between this and glenfiddich 12yo for a daily drinker. overall not disappointed in this purchase. Clean ocean breeze, sweetness that i cant label, orange zest, slightly floral but not overbearing. reminds me of a freshly cleaned room on he beach with the windows open. sweet and salty, a little bit of bitterness on the tip of yor tongue. not to thick but just right in texture. not much of an after affect, hints of the nose and palate in the finish. La découverte de l'alliance entre la tourbe et les vents scandinaves. Magnifique! My favorite for a normal day and normal price. Slight peated, a little bit sweet, smooth. A nice combination of Smokey Peat, vanilla, and sherry.